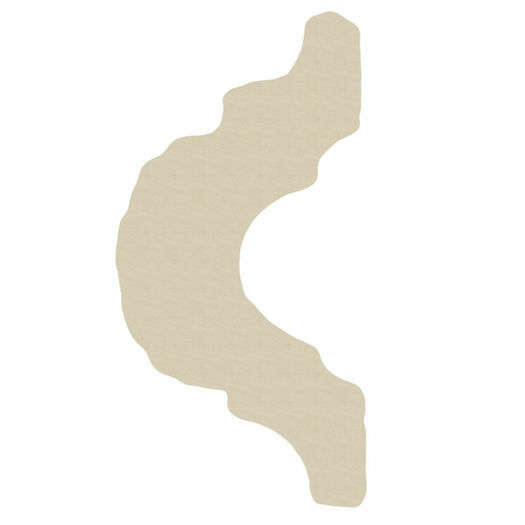 Designed for use as chair rail, wall and ceiling relief, and door and window trim, our flat moldings are versatile, easy to install, and are the backbone of interior design. Create that amazing ceiling you’ve always dreamed about, update those old, boring kitchen cabinets, or create the look of wainscoting on your walls, all at a fraction of the cost. 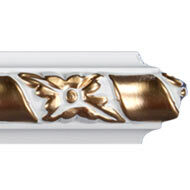 The WR-9061 WG Ceiling/Wall Relief Set consists of a 1-½" tall molding. 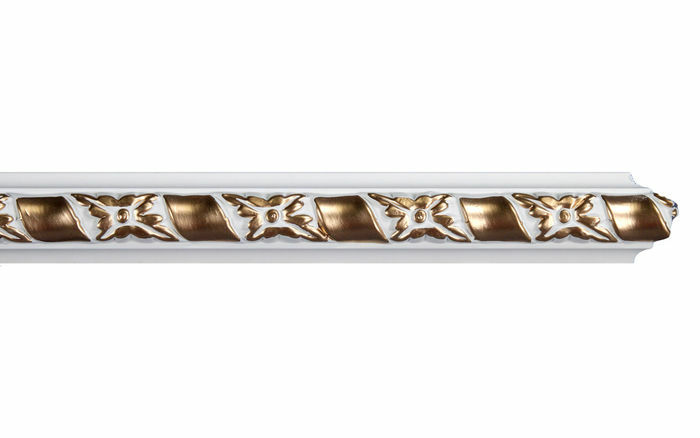 Mimicking the design and dimensions of our white WR-9061 pieces, the WR-9061 WG is finished with faux gold-painted highlights that truly bring out the richness of the molding’s floral design, with just a little added luxury. A major advantage of polyurethane is that it will not expand, constrict or warp over time with changes in temperature or humidity, so it's safe to install in rooms with the presence of moisture like bathrooms and kitchens. This product will not encourage the growth of mold or mildew, and it will never rot.